Peel and rinse the beetroots. Dry thoroughly. circle on 4 separate plates. Crumble the goat’s cheese with a fork and arrange on the plates. 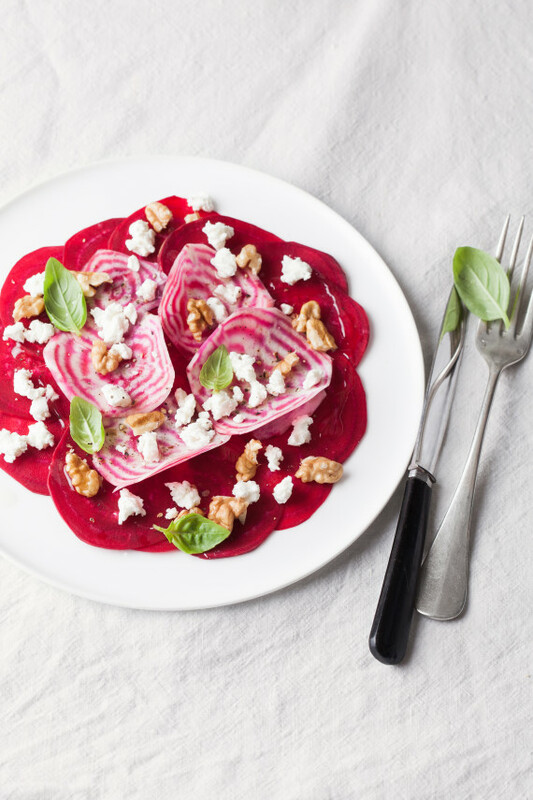 Sprinkle the nuts, oil and basil leaves over the beetroot on each plate. Season to taste with salt and pepper, and serve immediately. Serving suggestion: serve this carpaccio as a starter, perhaps with granary bread. Tip: try replacing the walnuts and walnut oil with hazelnuts and hazelnut oil.